Photo: Girls in our orphan care program are happy to celebrate the second harvest at our small-scale fishery project. Earlier this month 1,500 mature, healthy fish were harvested at our Philippines fishery weighing in at about 770 pounds (350 kgs). We sold all of the fish in the market and received a profit of $852. This profit is a great blessing as it enabled us to further supplement our children’s outreach budget, including school supplies and uniforms they needed for the current semester. It also expanded the scope of our impact to reach more children than ever before. 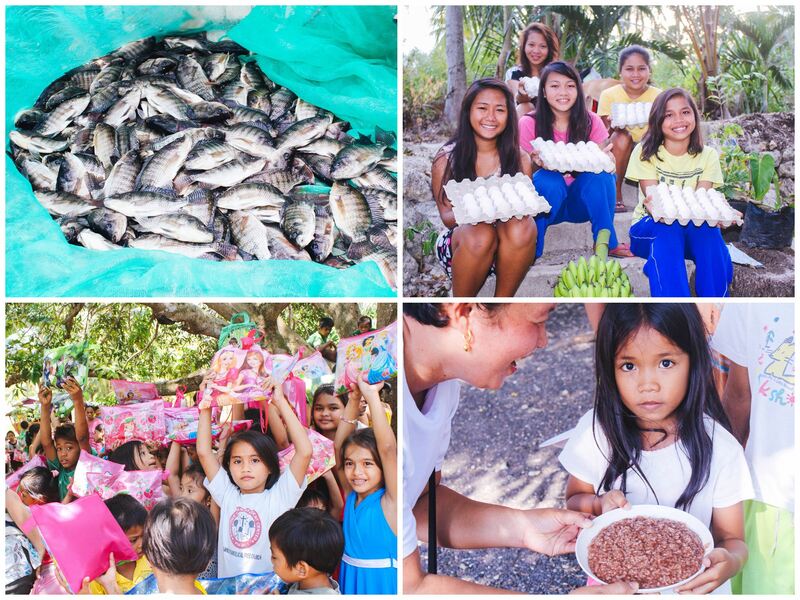 The supply of fresh fish also vastly supplements the nutrition of our students and children in our outreach programs. 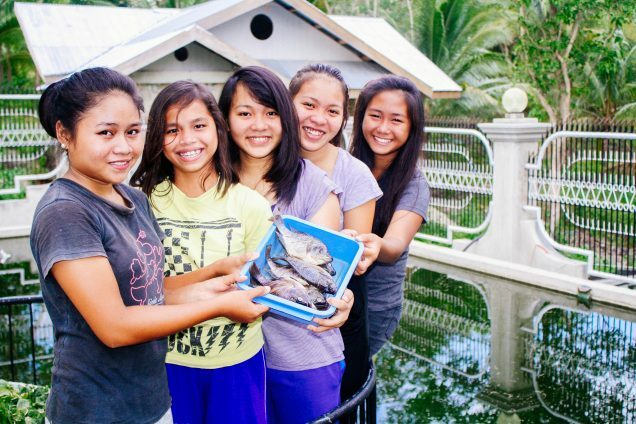 We were able to harvest healthy fish thanks to our new water storage tank and aeration system, which continue to work efficiently at our fishery on the island of Cebu. The new tank has increased our water flow which supplies the fishery, and it also provides clean baths for the children, aiding their hygiene and health. Water for the fishery is continually aerated and supplied with fresh water from a pure aquifer using our own well, reducing the chances of fish contamination to almost nil. We have both fingerlings and medium-sized fish in our second pond that are separated and then returned to the larger pond after harvest of the mature fish. Another harvest is expected in about 6 months time. In other good news, egg production at our hen house is steady, and next month we will purchase new chicks from the local hatchery farm since some of our hens are getting too old to lay eggs. We also planted several new banana trees to replace ones we lost due to a lack of rain earlier this summer. Thankfully, the rain finally arrived last week, so we have cultivated the soil of our on-campus gardens that we set aside to grow eggplant and other vegetables that are beneficial to the children’s health. Thanks to your support along with contributions from our generous donors, our native team is empowered to sustain and grow this important work in the Philippines. Our outreach on the island of Cebu includes scholarships and nutritional support for orphan girls recovering from child labor or abusive situations, and a weekly outreach to children in various locations around the island. These weekly outreaches usually take place on a Saturday, and average about 100 children in attendance. The program is styled after a VBS day camp feel, but also includes dental hygiene training and distribution of toothbrushes and toothpaste — on the island, 3 out of 4 children suffer from tooth decay by the age of 6.